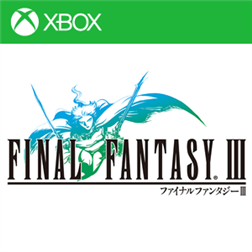 “Final Fantasy III — now on Windows Phone! First released in 1990, Final Fantasy III was the first title in the Final Fantasy series to become a million-seller, establishing once and for all that Square Enix’s classic RPG saga was here to stay. The full 3D remake released in 2006 duplicated the original’s success, selling over a million copies worldwide.